When it comes to choosing a suitable floor covering for your home, there are all manner of options available nowadays. One thing is for certain, though: carpet remains the most popular choice amongst UK homeowners, and there are plenty of reasons for this – some of which we’ll take a look at below. Noise pollution can have a detrimental effect on the health and general wellbeing of occupants, particularly in rented homes with multiple tenants. Likewise, family homes can benefit from the sound insulating properties of carpet if children or teenagers are making noise in the upper floors of the home. Carpets are particularly good at retaining heat; in fact, thicker carpets are capable of conserving up to 10% of heat in the home. This ultimately means lower utility bills in the winter months, and a smaller carbon footprint – ideal for the energy-conscious Brighton homeowner looking to save on heating costs. Carpets offer reduced slippage – for vulnerable people (such as the elderly), this makes opting for a carpet a great idea. Soft carpet fibres also create a cushioning effect underfoot, providing support which is particularly valuable to those suffering with mobility problems or arthritis. Carpet installation is also cost-effective. Amwick Floors Ltd employs only the finest carpet fitters Brighton has to offer, ensuring customer satisfaction every time with fanastic prices to boot. With such affordable professional carpet fitters in Brighton, it’s no wonder increasing numbers of homeowners are choosing to opt to have carpets fitted. Dust and debris collects within carpet fibres and generally stays there until it is vacuumed or brushed. Other types of flooring, such as laminate wood, allows for dust and dirt to move around the home, making it more difficult to clean. A good quality carpet can be something of an investment – choose the right carpet and you have a suitable floor covering for multiple years, or even decades. 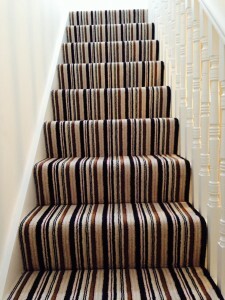 Can our team of carpet fitters in Brighton help you? Click here to contact Amwick Floors’ team of flooring specialists for a free no obligation quotation.